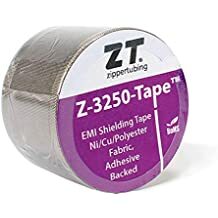 Prt Es 100 - Prt - Trade Names - ZT | Zippertubing Co.
PRT® is a wrap-around, heat-shrinkable tubing that provides a means of adding additional insulation to an assembled wire or cable. PRT® can be used to protect in-service electrical systems without the need to remove or disassemble the associated connectors and end hardware. This product is also a great in-service repair tubing where a side-entry installation is required. A heat gun is used to recover the material in a fashion similar to standard, non-split, heat-shrinkable tubing. This material has an operational temperature range of -55° to 135°C (-67° to 275°F). A wrap-around, heat shrink made from MIL-SPEC tubing that repairs electrical systems, assembled wires, and cables with resistance to abrasion and chemicals. PRT® (ES-100) is specifically engineered to provide water blocking to your wires or cables. This product combines the proven characteristics of two products, our PRT® wrap-around heat shrink tubing and our water-blocking, hot-melt adhesive Z-Block® (100). 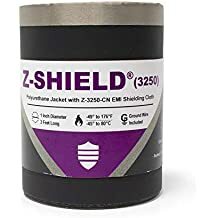 Together, these two products provide one of the best ways to fix an in-service repair, and offer complete 360° protection against anything that the environment may throw at it. PRT® (ES-100) has an operational temperature range of -55° to 100° C, and the product is available in 50-ft. rolls and a variety of diameters.